If lightning can occur in the sky, why not in the ground? A capacitor stores electrical charge up to a point, and then lets go, like a dam breaking. It’s called dielectric breakdown, and sparks are the result; sparks are the flood of current through the dam. Lightning is one example of a spark we’ve all seen, but there are several types of electric discharge to consider. Each type represents a flow of current, electrons and/or ions in an electric field. What primarily differentiates the type of discharge are polarity and surface features of the electrodes, the voltage and current density, and the medium the current travels through. Our atmosphere carries an electric field. The atmospheric field varies widely — from night-to-day and summer-to-winter — between 100 volts per meter vertically in clear weather, to orders of magnitude stronger during thunderstorms. Normally the atmosphere carries a minor fair weather current of one pico-amp per square meter. This tiny current is thought to be a return current caused by lightning around the world, diffused throughout the atmosphere. We don’t notice what’s happening electrically in our atmosphere normally because we live on the earth’s surface in an equipotential layer. We don’t notice, that is, until a thunderstorm arrives. Lightning from a thunderstorm has no ‘electrode’ in the sky. It comes from accumulations of charge in the clouds — pools of electrons, or ions, like the accumulated charge on a capacitor plate. Temperature and pressure moved by shearing winds take the place of the plates in segregating regions of charge. A study using interferometer and Doppler Radar to correlate lightning with updraft and downdraft winds showed that lightning avoids the updraft core (red arrow in the image) and forms in regions of weaker winds around the updraft. As a storm intensifies and the updraft speeds up, lightning frequency dramatically intensifies around the updraft. James Dye, a researcher on the study from the National Center for Atmospheric Research in Boulder, Colorado said the findings were a surprise. 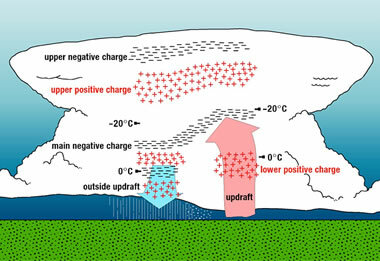 The massive accumulation of charge in thunderstorms is believed by consensus science to result from static buildup caused by ice formation and collisions in the fast updraft region, so they expected to see lightning there. Instead, they found the lightning surrounds the updraft. Consensus science always requires collisions of some sort to explain electrical phenomena. Physical processes such as induction don’t seem to be included in their scientific toolkit. However, fast updraft winds are likely motivated by electric current in the storm in the first place. So, it is not surprising in an electric atmosphere that positive ions in a powerful updraft would collect negative charge around the updraft column, which is where they found lightning to initiate. The study indicates updraft winds won’t produce much lightning until they reach 10 to 20 mph. Then strike frequency escalates with updraft speed. From 20 to 50 mph wind speeds, the lightning frequency might be 5 to 20 strikes per minute, whereas, above 90 mph, the flash rate can exceed one strike per second. In a consensus scientists mind, this can only mean one thing: the ice is colliding faster! Back in the real world, the updraft should be recognized as a current, with faster winds producing higher charge density. In any case, the charged layers in the cloud, and the thin, flashing filament we see in common cloud-to-ground lightning is only part of the event. There is also a buildup of positive charge on the ground. The ground charge forms as a pool of positive ions over the surface of the land and its features, accumulating in the highest concentration at high points. The positive ions form when electrons are stripped away from air and surface features by the electric field. The lightning bolt initiates when the negative charge invades the air below with filaments of charge called leaders. They zig-zag downward in stepped segments while the ground charge reaches up in a filament of positive ions called a streamer. When leader and streamer meet, the channel is complete and dumps the negative cloud charge to ground. The ionic ground charge follows, ions being heavy and therefore slower than electrons, rushing up the channel at 60,000 miles per second in what is called a return stroke. It’s the return stroke we see emitting light from particle collisions in the channel. 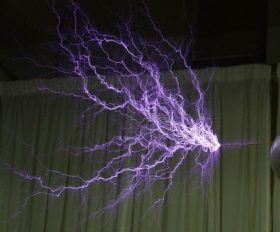 Return strokes often repeat as new charge pools and discharges, producing multiple flashes until charges equalize. It all happens very fast. You can’t see these charges moving around and pooling, but you can feel it. It’s called wind. Another type of lightning is positive lightning, from a buildup of layers of positive ions in the tops of thunderclouds, which create arcs more powerful by a factor of 100 than common lightning between ground and the negatively charged cloud bottom. Positive lightning also travels farther. The 200-Mile Lightning Bolt. A typical lightning bolt is about 3 miles long. This Oklahoma storm produced a record lightning bolt that traveled 200 miles across the blue sky. The longest-lasting lightning was recorded in France, at 7.74 seconds. Typically, lightning will pulse several times, but the total duration is less than .2 seconds. These record setters show that lightning can scale by orders of magnitude. In fact, we know no limit to how large it can scale. So what does all this have to do with Volcanoes? Lightning is seen not only in thunderstorms but in snowstorms, hurricanes, intense forest fires, surface nuclear detonations and — you guessed it, volcanic eruptions. There are two regions to consider in electric volcanoes. Above and below the ground. 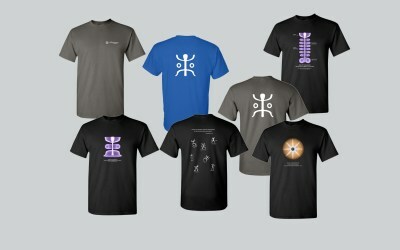 Above, they are integral to the Earth-Sky circuit. A volcanic plume is a dusty plasma — pyroclastic ash mixed with ionized gasses. How such a plume might increase the charge density between Earth and sky is unknown, but powerful volcanic lightning is a known occurrence. Volcanic eruptions throw hot, pyroclastic material into the sky. The volume of scorching hot cloud that erupts upward is not filled by the erupting gasses alone. Ground wind necessarily flows inward to fill the cloud from below. 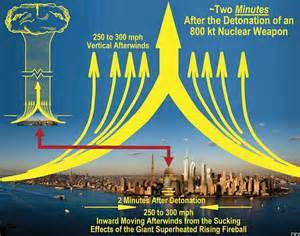 At right is a depiction of how a nuclear airburst detonation is designed to destroy a city. The sudden expansion of gasses created by the blast rises up leaving a rarefied region. Inward flowing ground winds reach the speed of an F-5 tornado, 300 mph, filling the vacuum created beneath the rising fireball, and leveling anything in its path. A very large volcanic plume can have the same effect, drawing winds inward at ground level. This seems the more likely explanation for the lopsided rim and even, circular aureole of Cerro Colorado. It may also explain why maar craters, in general, have characteristically small amounts of ‘ejecta’ concentrated around their rims. But beyond the kinetic effects of the plume, the rising column of ionic material will act in the same fashion as the updraft in a thunderstorm, generating lightning around the column. At the mouth of the erupting vent, one can imagine the current flow drawing the ionic charge to it from the surrounding land. 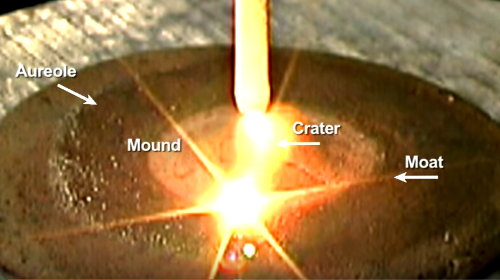 This may be why rim craters occur where they do, at the boundary of the rising plume. 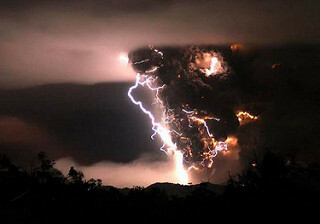 Consensus science has concluded there are two forms of volcanic lightning. Researchers led by Corrado Cimarelli, a volcanologist at Ludwig Maximilian University in Munich, Germany, studied Sakurajima volcano in Japan and concluded ash particles are responsible for building static electricity that discharges near ground level, as they reported in the journal Geophysical Research Letters. A separate study, also published in Geophysical Research Letters of the April 2015 eruption of Calbuco volcano in Chile, discovered lightning striking 60 miles from the eruption, from 12 miles above Earth. The scientists concluded the thinning ash cloud formed ice that rubbed together to produce lightning like they say a thundercloud does. The consensus narrative always needs a collision and static build-up of charge. Why this is so is hard to understand. No doubt rubbing and static charges do occur, but there is already an atmospheric electric field to work with, moving electric charge, and oodles of ionization in these events, whether volcanic or thunderstorms. 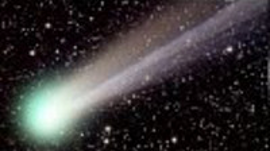 They occur in the dielectric atmospheric layer between the ground and the charged plasma of the ionosphere. By assuming electrical discharge is only occurring due to localized static charge is to miss the bigger picture, that Earth is just one device in a circuit. Whether discharge comes only from the plume, or also within the ground is the second part of the electric volcano story. We don’t know much about the currents within Earth’s inner regions. We know the crust carries current. Ground current is why we ‘ground’ electrical devices, so a voltage potential can’t build between the ground and the device and generate a spark, or worse, a dead person whose last act on earth was to touch the device. Ground Induced Current, or GIC, is current in soil, rock, and water, as well as metal fences, pipelines, and wire. It’s induced by the atmospheric current because the two are coupled. Solar activity is a forcing influence on atmospheric current, increasing the dangers of GIC during solar storms. The Carrington Event of 1859 was a solar flare that, among other things, produced especially energetic aurora’s and induced current in telegraph wires. Many lines burned-up, telegraph operators were shocked and showered with sparks. Some reported the telegraph had so much current, they continued working without a power source after generators were disconnected. GIC may not be the only source of electrical current on and under the ground. After all, the rush of lava and gasses through vents in Earth’s crust would seem to require a lot of things rubbing and colliding. It seems necessary that this would build static charge and cause discharges deep within the earth, even by consensus reasoning. Even more likely, it’s electrical discharges deep within the Earth that heats the magma, vaporizes rock and causes eruptions in the first place. 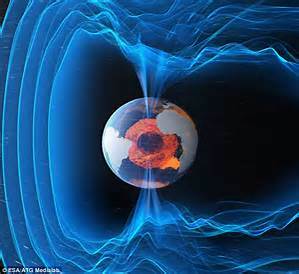 It’s entirely unknown what the voltage drop is across the layers of crust and mantle to the center of the planet, but given those huge auroral currents at the poles and the puffed up magnetosphere around Earth, one should assume it is rather large. Pinacate and other volcanic fields display features that the Electric Universe Theory has ascribed to electrical phenomena on other planets and moons in the solar system. Since they appear on this planet too, they need to be interpreted in the context of an Electric Earth. One look at the Delta-Wye configuration at the bottom of this maar in the image below, and the question — Is Earth Electric? — is, perhaps answered. In three-phase electrical transmission, delta-wye connections are used to connect an ungrounded system, such as an overhead transmission line, to a grounded system, such as a transformer. The delta configuration is the ungrounded connection of three phases of current, whereas the wye connects the three phases to ground at the center of the wye. Note the Delta has three tendrils that lead to rim craters. A geo-botanical feature at the bottom of a volcanic crater imitating electrical circuitry may be an astonishing coincidence. Or not. It may be a physical expression of how sky and ground currents ‘couple’, the same way we couple a transformer to a power line. Lest we forget the Moon and the physics of electrical scarring, we can look there for hints at how subtle electrical scarring can be. 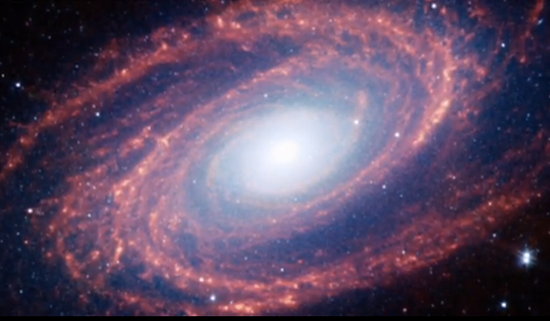 And since this comes from NASA, it’s all the more astonishing. Deep craters at the polar regions of the moon never see sunlight. Within these eternally dark and frozen craters, cosmic rays are bombing the surface, creating a double layer of opposite charge, because it is theorized, electrons penetrate to the subsurface, while positive ions hit and collect at the surface — it’s always the collision thing. 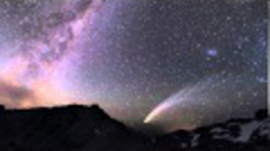 The double layer discharges tiny sparks that vaporize dust, launching it up to float in a thin atmosphere above the surface. This dust atmosphere was first noticed by the Apollo crews and remained a mystery for decades. There is more evidence of electrical influences in the Pinacate volcanic field and the surrounding Altar desert than rim craters on the maars. Some maars that don’t have rim craters appear as doublets, or multiple craters with consistent floor depths. These too, are features similar to the unusual shapes seen on the Moon and Mars. A “tuff ring” is the volcanic rim surrounding a maar crater. The tuff ring forms as hot ejected tephra fall back to Earth and lithify into a ring of welded tuff. They are typically low relief, with a gentle slope of fewer than ten degrees on the outside. Several tuff rings in Pinacate are exposed, but the crater that formed them is buried. Unusual ‘erosion’ patterns seem to begin and end without reason. These stark patterns of apparent erosion cross playa that are dead flat — not one foot of elevation change is evident. They appear to be lined with black rock. Fractal patterns appear everywhere across the Pinacate, from lightning bolt rilles to feathery ash and tuff deposits. Disclosure: The proposed theory of arc flash and arc blast and their effects on the landscape are the sole ideas of the author, as a result of observation, experience in shock and hydrodynamic effects, and deductive reasoning. Dr. Mark Boslough’s simulation of an air burst meteor provided significant insight into the mechanism of a shock wave. 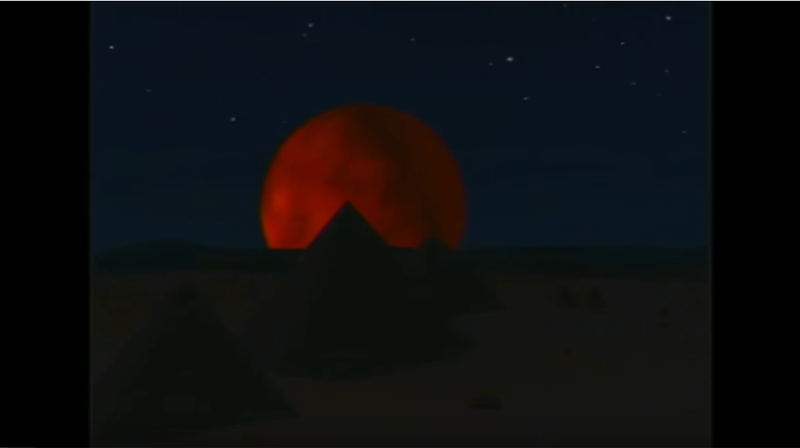 His simulation can be viewed on YouTube: Mark Boslough. The author makes no claims that this method is the only way mountains or other geological features are created. The ideas expressed in Thunderblogs do not necessarily express the views of T-Bolts Group Inc or The Thunderbolts ProjectTM.